It’s a big number. And it’s a huge problem. $1.48 trillion is the amount of college debt owed by U.S. citizens who’ve had to borrow to attend college. It’s a debt that’s growing at the rate of $2,726 every second, according to the business publication MarketWatch, which makes it likely it will be closer to $1.5 trillion by the time you read this blog. For comparison purposes, U.S. credit card debt is nearly a half trillion less, pegged by MarketWatch at $1.021 trillion. Michigan’s share of that debt is approximately $5,330 per person. Nationwide, Forbes estimates more than 1.1 million people have college loans between $100,000 and $150,000. “Houston, we have a problem.” Yes, you do. Texas loans amount to $4,510 per capita. How can it be that we have accumulated this much in debt and still have businesses groaning about a talent shortage? Some who bear the debt are asking it themselves. 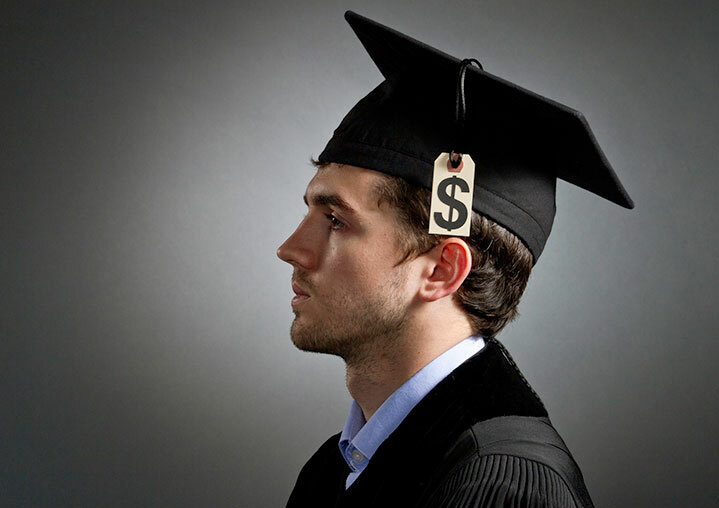 Forty-five percent of 1,500 respondents concluded college was not worth the cost when Americans with student debt were surveyed by the Consumer Reports National Research Center. It’s this mountain of college debt and the rapidly changing job market that prompted nine in 10 respondents to regional surveys conducted by Kent ISD last year to say they wanted greater connections between K-12 education and the world of work. Does that mean students should no longer aspire to attend college? And, according to the U.S. Bureau of Labor Statistics, the fastest growing jobs over the next decade will require post-secondary certifications or college degrees of varying durations. What it does mean is everyone choosing to go to college should have a solid career path in mind. College is not an end. College is a means to an end. Just half of students entering college leave with a degree after six years. None of those who leave without a degree are prepared for the fastest growing jobs cited in the Bureau of Labor Statistics report. How can schools help? We can connect students to the world of work, to help them understand the jobs available, to create relevance in their education, and to help them make better choices in their educational and career pursuits after they graduate high school. Kent ISD school districts, and the school districts in Ottawa and Muskegon area ISDs, are working with the Talent 2025 CEO group to help students make these connections. Northview is an example of a school district that is making employability skills a measure of student performance. Things like punctuality, the ability to work as part of a team, to communicate and think critically and creatively about real-world problems are among the challenges that will face students in college, in careers, and in the curriculum Northview is developing. The Kent Career Tech Center is working on a “talent transcript” to house the employability skills, college credits and other credentials earned by students during their high school careers. Kent ISD is also working to bring a career portal to students that will match their knowledge, skills, aptitudes and career aspirations with the region’s employers, so they can match their interests with opportunities. It’s not the total answer, but it’s a start. You’ll be reading much more about these initiatives and others in School News Network over the next year. We have to do something. None of our students, nor society, can afford six years in college and six-figure debt without the promise of a high-wage career awaiting their graduation.